My cousin Melanie | The Adventures of Anne K.
Disclaimer: Long, rambling and emotional post ahead. It’s taken me 4 days to write this. I am fortunate to belong to a close-knit family. Whether you’re a relative through blood or marriage, you are family and welcomed with open arms. We make no distinctions between 1st cousin, 2nd cousins, or cousins twice-removed. This is especially true of my maternal grandma’s branch of the family. She hails from a large clan that has always had frequent reunions and get-togethers. This closeness has continued throughout the years. 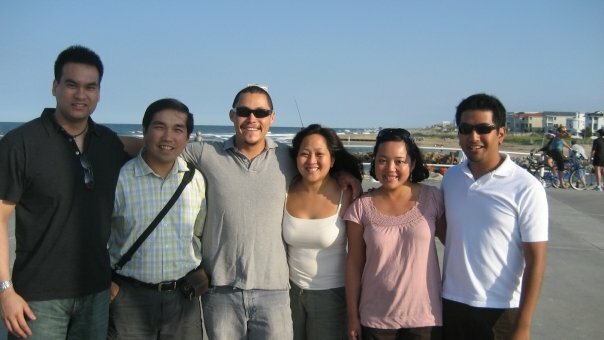 Although, my immediate family and I lived in Virginia, we were in close contact with our relatives in the Philippines. 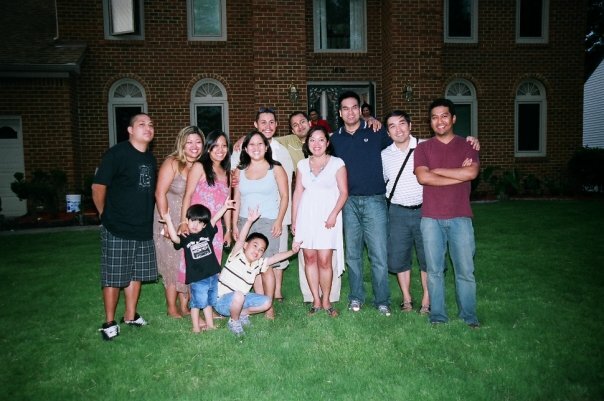 Even though I rarely saw them, I knew most of my cousins. I had several cousins that were around the same age as me. Our visits with one another were few and far between. However, whenever I got to see any of them it was as though no time had passed. One of these cousins is Melanie. Melanie is only 9 months older than me and is my second cousin. (Her grandfather and my grandmother were siblings.) 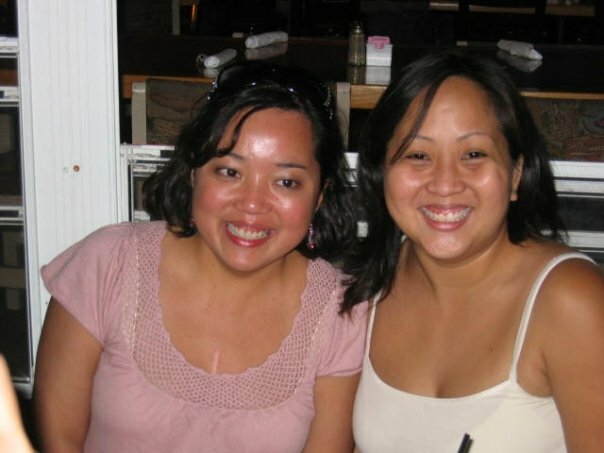 In 2001, Melanie moved to the U.S. from the Philippines to apply for physician residency programs. My mother had announced that Melanie was going to be staying with them while she studied for various board tests. I was excited. At the time, I lived in my own apartment nearby. Being so close in age, I was sure we would become good friends. Melanie arrived with her mom my Aunt Lilly. As part of her initial settling in, we took a Girls’ Trip to DC. She, Aunt Lilly, my mom and I spent a weekend in D.C. We had a wonderful time. We had dinner at some nice restaurants, shopped, and saw some museums. Melanie and I even attempted to go to some Georgetown bars, which was disastrous. We got hit on by a bunch of weirdos and called it a night. I wish I could say that during that time Melanie and I connected and became close, but unfortunately we didn’t. We were both in the midst of incredibly stressful junctions in our lives. Melanie was studying and applying to various hospitals for residency programs. I was back in college trying to finally finish my Bachelor’s degree while working my way through school. On top of it, I was going through a particularly rough patch emotionally. Both of us were at different points in our lives– points that did not coincide or give us much in common. She was trying to further her career. I was trying to start mine. So, we did not become fast friends like I had hoped or thought we would. Shortly thereafter, we both moved away from Virginia. I moved to Southern California. Melanie moved to Grand Rapids, Michigan. Melanie quickly began to reap the rewards of her hard work and it was impressive. In that intervening time, Melanie completed her residency program and began practicing Internal Medicine in Oregon, which she initially did on her own. 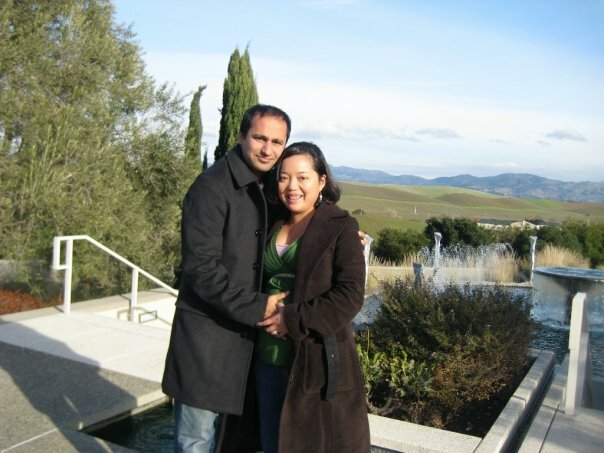 Also during this time, she met and married her husband Khurram, who was in her residency program. I was unable to attend their wedding celebrations (they had two! ), but I was incredibly happy for her. I did not see Melanie again until 2007 at my Grandma’s 100th Birthday Party. Many of our relatives had come from all over the globe to celebrate. This brought many of the cousins in my age group together again. It was at this event that many of us reconnected and bonded. Despite the geographic distances that separated all of us, we found we had many things in common. Melanie and I were finally at similar places in our lives. Our careers were in order and we were both settling down. 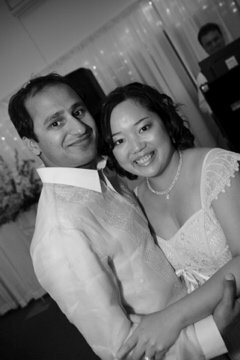 Melanie and Khurram were newly married. Rob and I were soon to be married. This time we connected. We exchanged invitations to come visit and promised to keep in touch. 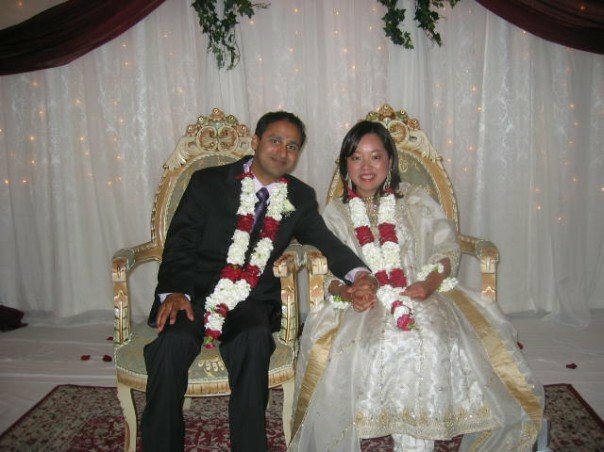 Although it was unlikely that their work schedules would allow them to attend, Rob and I invited Melanie and Khurram to our wedding. We continued to share links to photo galleries and short messages. Unfortunately, because of conflicting and busy schedules plans to visit never quite came to fruition. At least, the advent of Facebook brought the level of communication to a new level. Random, witty quips were shared along with photos and general updates. 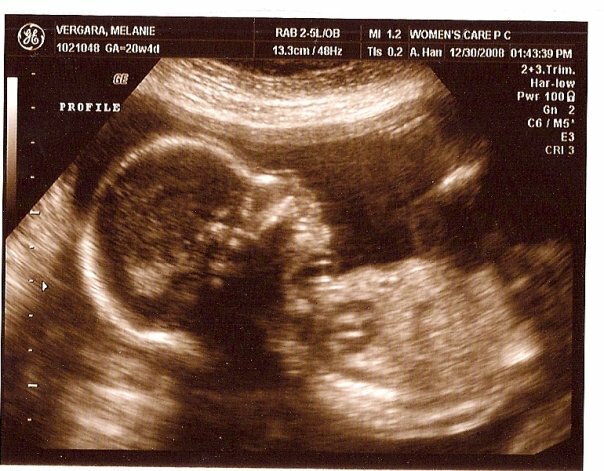 This past Christmas, Melanie and Khurram posted ultrasound pictures on Facebook to announce they were expecting. I was overjoyed for them. (Truth be told, Aunt Lilly had already been spreading the good news weeks beforehand while we were in New York.) Their baby was due to arrive on May 15th. After their announcement, I anxiously and frequently checked their respective Facebook pages to keep up with the progression of Melanie’s pregnancy. I watched the progression of Project Baby as they called it through the updated ultrasound pics and the various photos of Melanie and her expanding baby bump. 3 weeks ago Melanie was put on bedrest for the remainder of her pregnancy. Their baby was due May 15th. However, because of complications, they had planned to deliver their baby on April 23rd. They did as they were told and even rented an apartment that was close to the hospital. On Easter, I sent her a Facebook message asking how Project Baby was going. She replied back that she was doing well, but was bored. 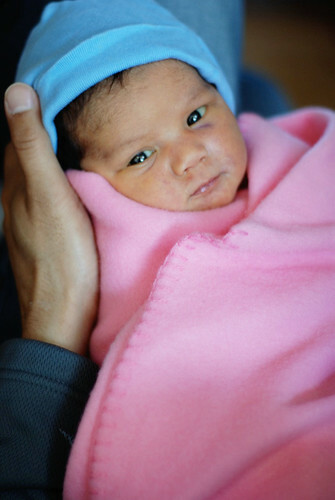 Last Saturday, Melanie gave birth to Aalia Sabine in the afternoon. Mobile photos were posted on Facebook. Melanie held and nursed Aalia. Then, she felt weak. I’m unsure of the exact complications. I only know that she was rushed to intensive car where her heart stopped. For 1.5 hrs, the amazing hospital staff valliantly attempted to revive her to no avail. Melanie died later that evening from an embolism. When my other cousin Rhed called to tell me the news, I was in such shock that I had to play my voicemail over and over again. Even now, I still don’t believe she’s gone. I regret not having made more of an effort to visit or to chat more often. However, I am thankful for the time that we did have together and the relationship we developed in the last couple of years. Like the rest of the family, we all intend to be a part of her husband’s and daugther’s lives. After all, we’re family. Pingback: A Year Later « The Adventures of Anne K.
Anne… thank you for sharing your story. I’m deeply saddened by your loss. I’ve shed a few tears reading this entry. I hope you and your family get through this difficult time. My prayers are with you and your family. I’m so sorry Anne. I’m glad you were able to get some advice and encouragement from Matt. Thank you for sharing your experience. Hi Anne,I’m so sorry to read about this. It just breaks my heart. My thoughts are with you and your family during this very difficult and trying time. I’m so sorry t hear such sad news Anne. My thoughts and prayers are with you and your family. This story brought me to years. I am sorry to hear about your family’s loss Anne. i’m so sorry for your loss and will keep your family in my thoughts. it’s always good to know that family is always there with support and love. I am so, so sorry Anne. I’m sorry. I know she will grow up to be an amazing little girl. With your help, of course. Thanks to everyone for thinking of us. It’s times like this that you are reminded how wonderful the support of virtual strangers can be. It never ceases to amaze me how people can reach out during a time like this.Sweet T – Thanks for the blog mention. I’d been following Matt since last year and my cousin’s husband saw him on Oprah last week. I’ve actually been in touch with Matt who has been very helpful with his advice. Anne- what a sad story, thank you for sharing. I don’t know if this will be of any comfort for you or even Melanie’s husband, but take a look at this blog: Matt, Liz, and Madeline. The *exact* same thing happened to Matt’s wife, an embolism the day after she gave birth. He’s been blogging ever since, and it’s very powerful.My condolences are with your family. Thank you for sharing Anne, what a sweet and tragic story. My heart goes out to you and your family. I’m in tears right now. I am so sorry for your loss. I am sure you will have a part of Melanie with you in baby Aalia always. That was so well written Anne, I have chills. So sorry for you and your family’s loss. Thank you for sharing Anne. My thoughts are still with you and your family. And Aalia is beautiful! I’m so sorry to read about this. My condolences go out to you and your family during this difficult time. such a beautiful post, Anne. you are right; we are family, and we rejoice over each other’s happiness, laud each other’s achievements, and cry for each other’s pains. i hope your generation will keep this up.